When I was little, I used to have these vivid dreams about flying. I would imagine myself running through a field, getting lighter and lighter with every step and eventually my tippy toes would be all that was connecting me to the grass below. Then in one swift leap, I lifted, I soared, I believed it was true. Those mornings I would wake up, wide-eyed, believing the seemingly impossible. Now that I’m all grown up (or getting there, ha) I have gone through a little more life. I have seen myself becoming more and more of a realist and less and less of a dreamer. I am so thankful that I have been able to journey through some big adventures in the past ten years – traveling and living abroad, skydiving, cliff jumping, hiking, and adventuring. Despite the hardships of life, these activities have kindled my little fire that believes in dreams. I think it is so important to cultivate the things that make that inner-child come alive! On top of all of these adventures, yoga has shown me just how much potential there is for life to become the essence of our dreams. 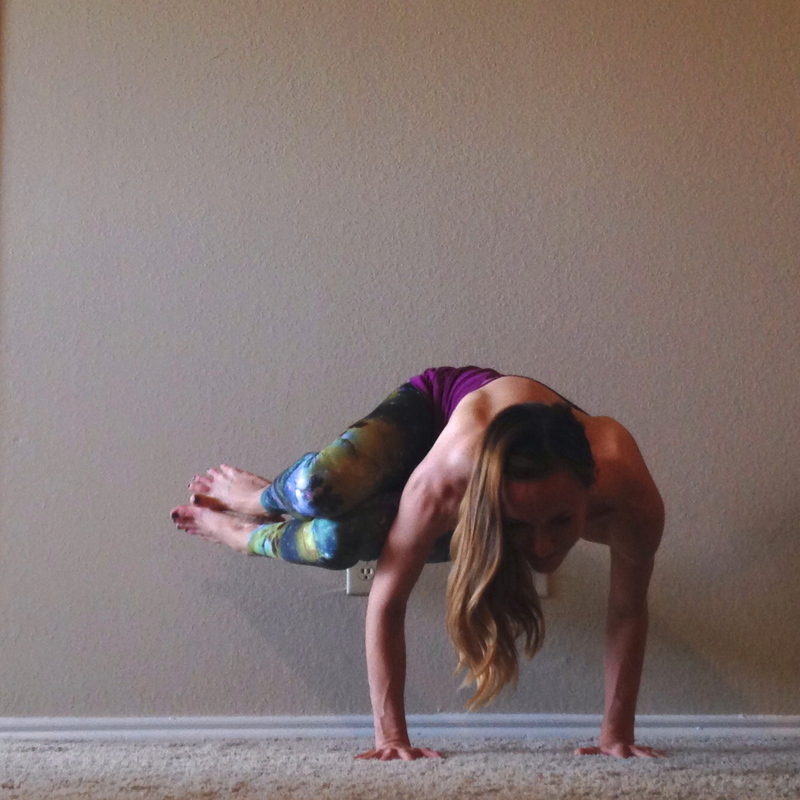 One of my favorite things in the asana practice (physical portion of yoga) is arm balances and inversions. 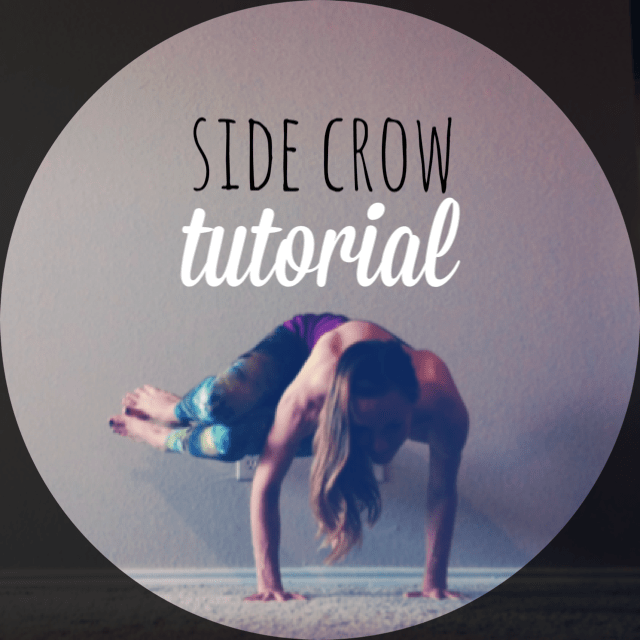 One of the first arm balances I learned was side crow. 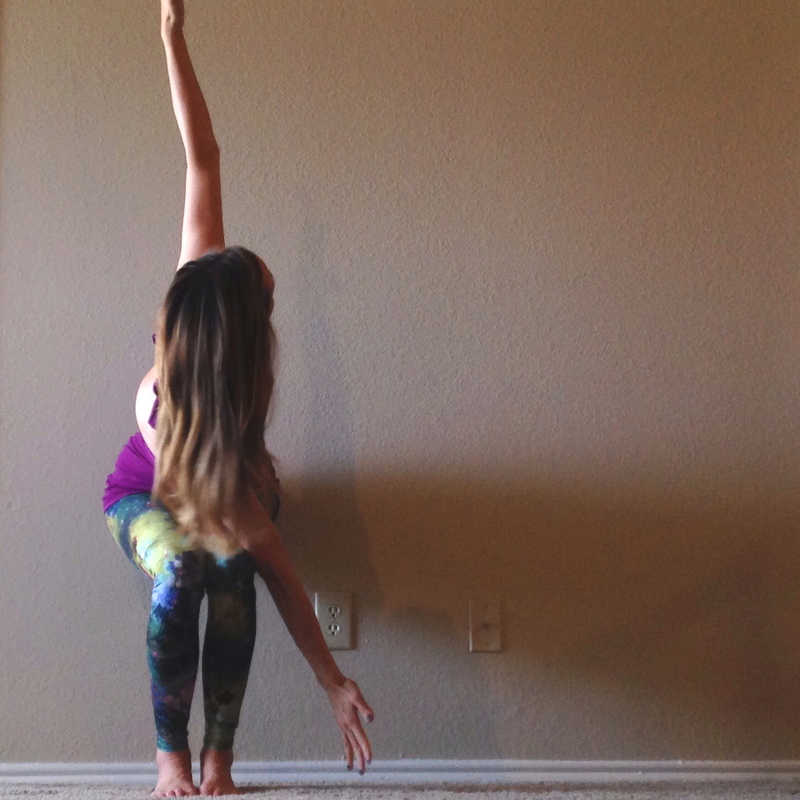 I had gained the strength to maintain my chair pose and twist confidently. Then an instructor of mine encouraged everyone to drop down their hands and see if we could just lift to our tippy toes. Immediately I had Déjà vu….the lightness of my weight running through the field, the feeling of lift-off and flight! I knew in that moment that I needed to drop my hands down and kindle the fire — take flight! That day I lifted my feet off of the earth and though my hands were still connected, I felt strong, capable of the impossible, and liberated! If you are looking to take a step toward lift-off…keep on readin’! 1. Big toes together, heels 1 inch apart, knees together. 2. Belly engaged, tailbone slightly tucked. 3. Crown of the head lifting up, spine is long. Exhale and twist to the left, dropping the right elbow down to the outside of the left thigh. **Note** If you are unable to comfortably twist enough to get the elbow across to the outside of the thigh. 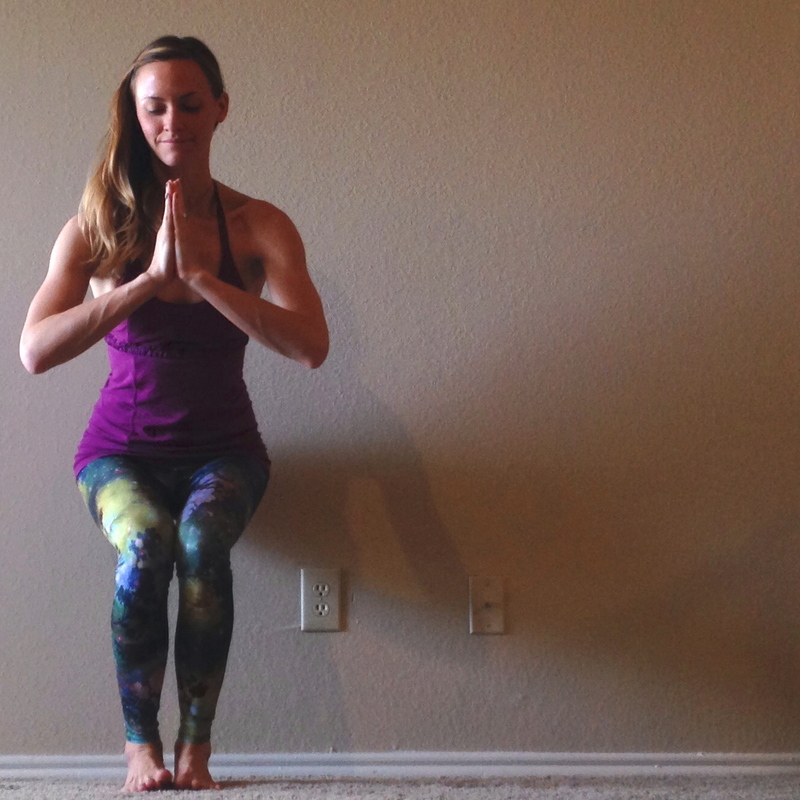 Today, just focus on working on your chair pose and twist. Believe that the potential for the arm balance is in your future, but accept yourself and your journey for what it is today. Cultivate contentment and love for yourself for where you are. 1. 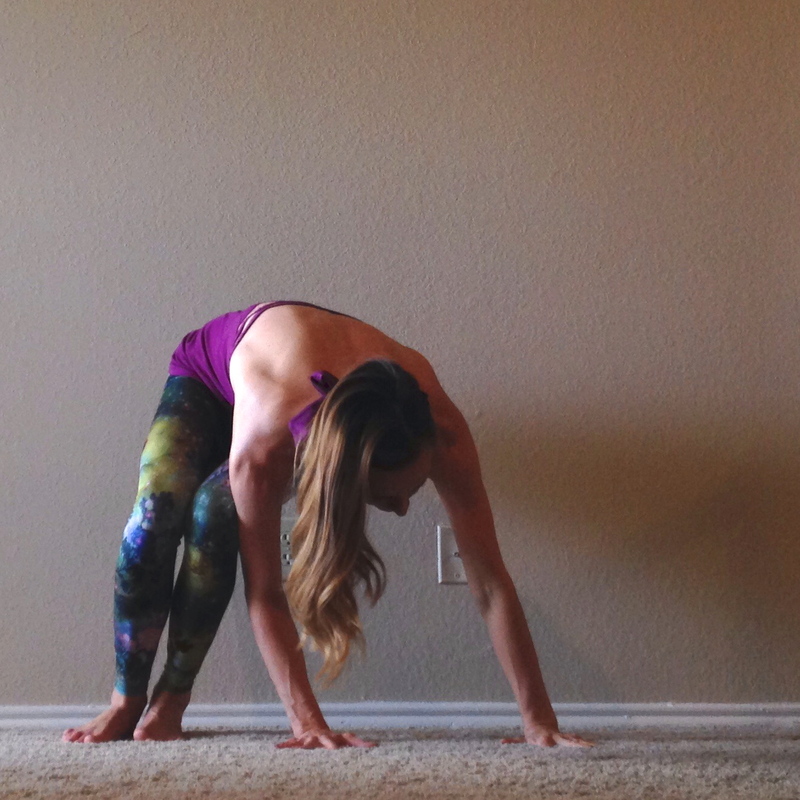 Lengthen crown of head forward as you inhale and as you exhale, find a deeper twist. 2. Open arms to feel full expansion. 1. Hands shoulder distance apart. 2. Keep the connection of the left leg to right tricep. 3. Keep the knees level with each other in order to balance hips and protect the low back. Step 4: Caturanga arms ….look forward! 1. 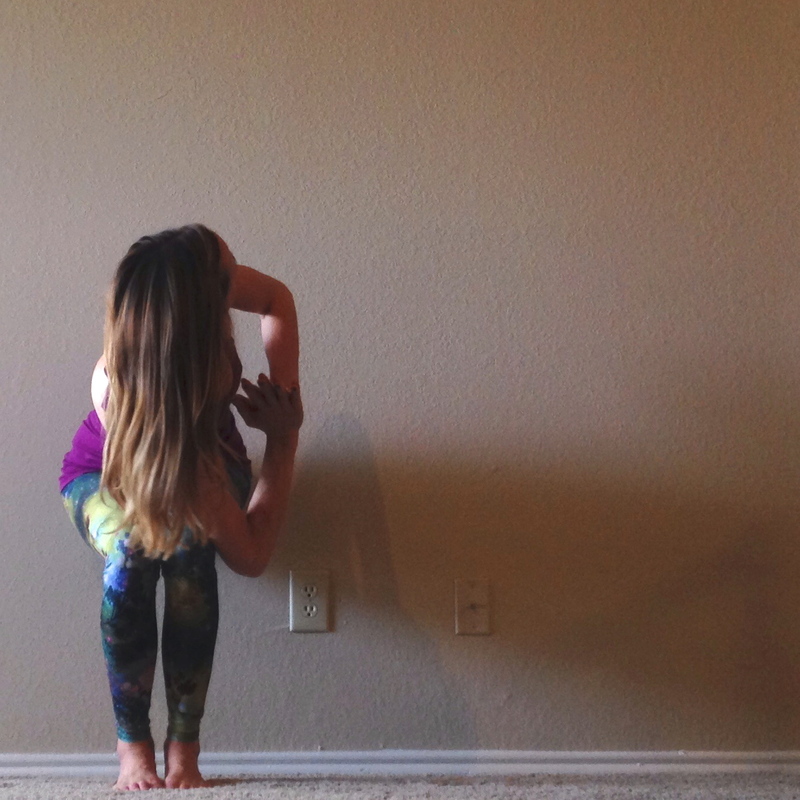 As you exhale, bend your elbows as much as you need to. 4. 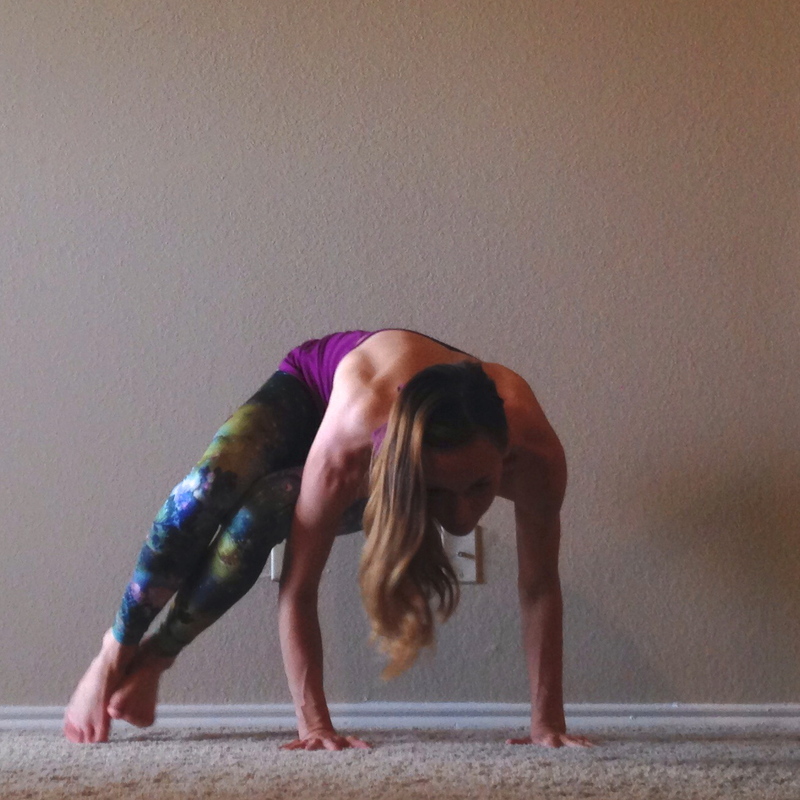 Lean into the arm strength and play around with lifting the tippy toes. 1. Bend your elbows and lean slightly forward. 2. Squeeze inner thighs and hug in your core. 3. TRUST yourself and lift up those feet to the height of the hips. **Don’t forget to do both sides! Stay encouraged & most importantly remember that….